Haley in a music documentary? 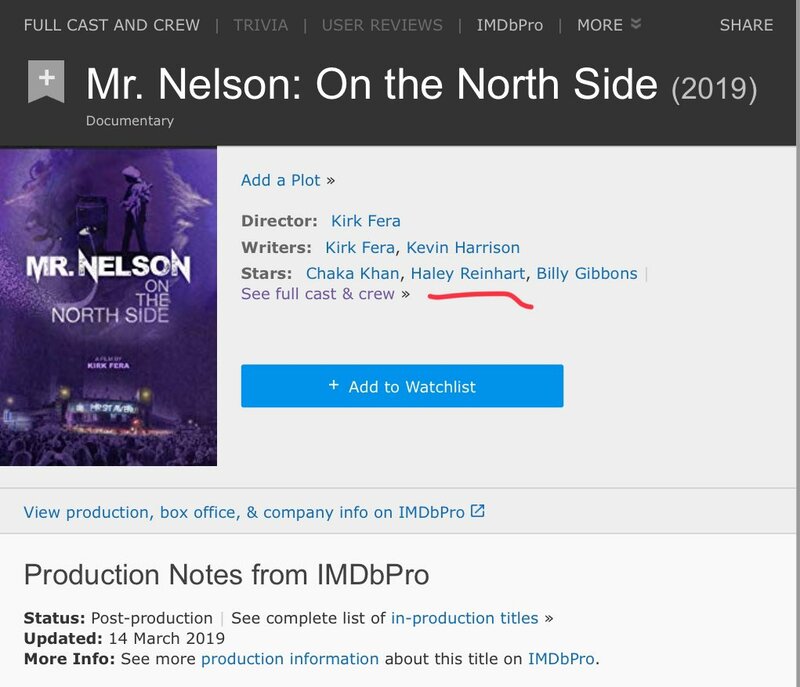 "On the North Side"
RE: Haley in a music documentary? "On the North Side"
Quote: Prince Rogers Nelson (June 7, 1958 – April 21, 2016) was an American singer, songwriter, musician, record producer, actor and filmmaker. A prominent music figure of the 1980s, Prince was known for his eclectic work, flamboyant stage presence, extravagant fashion sense and use of makeup, and wide vocal range. Quote: In Michael J. Kirk’s “Mr Nelson: On the North Side,” Spike Moss, a musical mentor of Prince, talks about the origin and influences that shaped the star’s musical skills. In turn, musical icons including Chuck D, Macy Gray and Chaka Khan recount stories of Prince and how he inspired them. It is the latest factual project about Prince since his death in 2016. Current time: 04-23-2019, 08:20 PM Powered By MyBB 1.8.19, © 2002-2019 MyBB Group.